WATCH this animated demonstartion video of a MoveStrong Obstacle Course and let us know if it could help your local branch of First Responder officials? Physical training, challenge, and fitness testing designed using MoveStrong Indoor and Outdoor Functional Fitness Equipment. This style course was designed for Law Enforcement and Police Academy Training. It could also assist Firefighters, EMT, Rescue, or any First Responders who needs the physical fitness, strength, balance,endurance, and agility to perform the vital roles of protecting and serving the public. These challenge courses can play a crutial role in maintaining the physical condition for saving lives and for the saftey of First Responders on the job everyday. 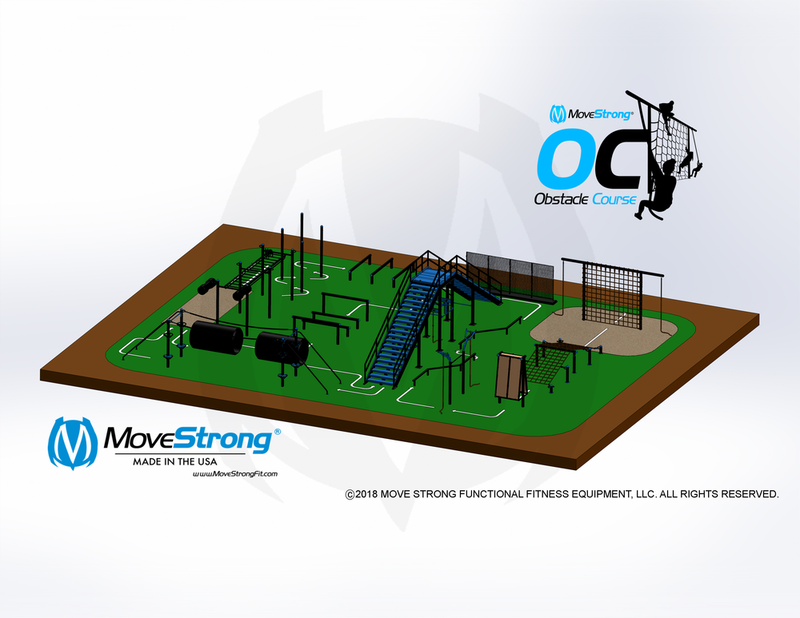 Contact us to discuss MoveStrong Obstacle Course Design and Training needs. MoveStrong was recently asked to design a obstacle course for Police Academy training center. The MoveStrong T-Rex and Fitground outdoor functional fitness components are a perfect fit for building an obstacle course style layout for training emergency first responders like firefighter, EMS techs, and Police. The physical challenges that our Police face daily make this course a valuable part in preparing for the job. Tactical, FBI, rescue, military, or other physically demanding occupation would benefit from a MoveStrong outdoor obstacle course to challenge physical fitness, stamina, and strength. Below is just one sample layout for designing an obstacle course with MoveStrong products along with some custom equipment to made specifically for the course obstacles needed. Cargo nets, A-wall climb, Horizontal and vertical rope climb, dummy drag, staircase and ramp, balance beams, over/under obstacles, and more to make up this test of physical fitness for police training.